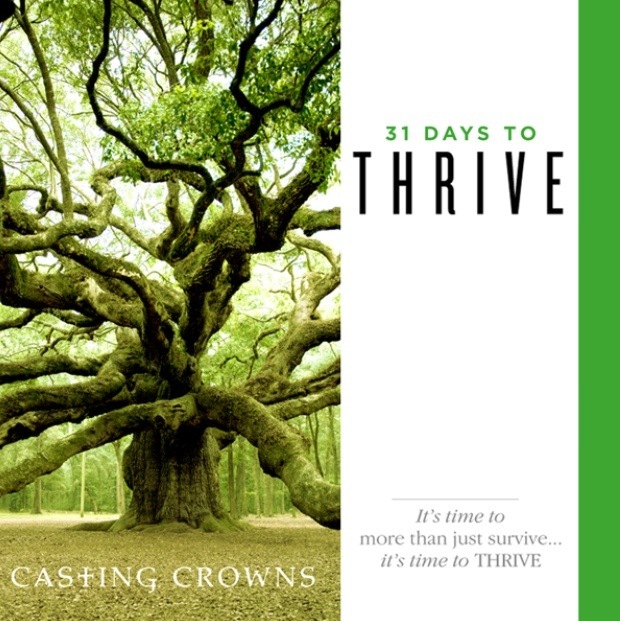 Every day in the month of August I will share with you the inspiration I will be receiving from Casting Crown’s ’31 Days to Thrive’. If you want, you can subscribe to get their emails yourself. Either way, I’m sure it’ll be a great way to help your relationship with God THRIVE! This entry was posted in Other and tagged August, Casting Crowns, God, inspiration, thrive. This entry was posted in Pictures and tagged believe, Bible, Faith, Hebrews, verse. 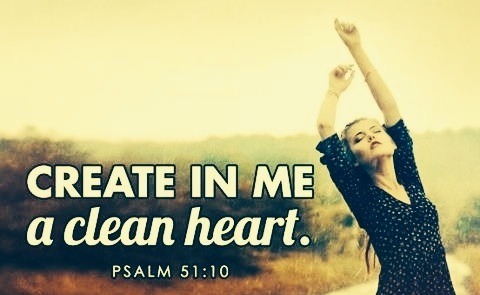 This entry was posted in Pictures and tagged Bible, heart, Psalm, pure, verse. You’ve probably heard the story of Jesus’ temptation. Many people interpret it differently. However, at church Wednesday night my pastor talked about it in a way that really helped me understand its true meaning. The story of Jesus’ temptation is to show you that Jesus understands how we feel when we are tempted since He has been tempted in the same ways. I never really understood that before Wednesday night. Jesus did not face the same specific temptations that we face now. Yet He did face the same temptations. You see, there are three ways to be tempted. Your flesh, spirit, and soul can all be tempted. Lust of the flesh is wanting physical pleasures. Lust of the eyes takes place in your spirit. It is wanting what you see-things like objects and wealth. The pride of life takes place in your soul. It is wanting to be known and adored. It is called the pride of life because it often includes arrogance. Jesus was tempted as we are because He was tempted in all three ways. Matthew 4:1-11 is the story of Jesus’ temptation. *Then Jesus was led by the Spirit into the wilderness to be temptedby the devil. 2 After fasting forty days and forty nights, he was hungry. 3 The tempter came to him and said, “If you are the Son of God, tell these stones to become bread.” 4 Jesus answered, “It is written: ‘Man shall not live on bread alone, but on every word that comes from the mouth of God.’ ” 5 Then the devil took him to the holy city and had him stand on the highest point of the temple. 6 “If you are the Son of God,” he said, “throw yourself down. For it is written: ‘He will command his angels concerning you, and they will lift you up in their hands, so that you will not strike your foot against a stone.’ ” 7 Jesus answered him, “It is also written: ‘Do not put the Lord your God to the test.’ ” 8 Again, the devil took him to a very high mountain and showed him all the kingdoms of the world and their splendor. 9 “All this I will give you,” he said, “if you will bow down and worship me.” 10 Jesus said to him, “Away from me, Satan! For it is written: ‘Worship the Lord your God, and serve him only.‘ ” 11 Then the devil left him, and angels came and attended him. * Jesus was tempted by the lust of the flesh. He had fasted for forty days and nights and He was very hungry. He was tempted by His flesh to turn those stones into bread so He could eat. Jesus was tempted by the pride of life. He knew that if He jumped He would be saved and He was tempted to prove this to Satan. He was tempted to show Satan that He could do it. Jesus was tempted by the lust of the eyes. He was tempted by all Satan was offering to give Him. Yet, after being tempted in each way possible, He simply turned to Satan and told him to leave. We need to learn to do that. When we are being tempted we need to learn to just tell Satan to go to Hell and leave us alone! You should notice that Jesus countered Satan every time he tempted Him by quoting Scripture. That’s a smart thing to do. Whenever you are tempted to do something remember where the Bible tells you to say no. Bring your mind away from the temptation and focus on God’s commands and what He has for you if you follow and obey Him. He is a loving God who is graceful and forgiving. When you sin, He forgives you if you ask. However, that does not mean it is okay to sin. So, you see, Jesus was tempted in the same ways as we are. He may not have faced the exact same temptations as us, but the temptations He faced were as tempting to Him as our biggest temptations are. Everyone is tempted differently, yet in the same ways. I really hope that makes sense because it was an epiphany for me when I realized that Jesus truly does understand our temptations. Just because the story of Jesus’ temptation only takes up a few verses doesn’t mean it wasn’t a big deal for Him. Next time you are tempted, try to take a step back and see if any verses come to mind that will help you say no to Satan and to sin. Remember, temptation is not a sin. Giving into temptation is when sin is born. May the strength and wisdom and love of the Lord our God be in you. God bless you forever. This entry was posted in Devotions and tagged flesh, God, Jesus, love, lust, sin, soul, spirit, temptation, truth. 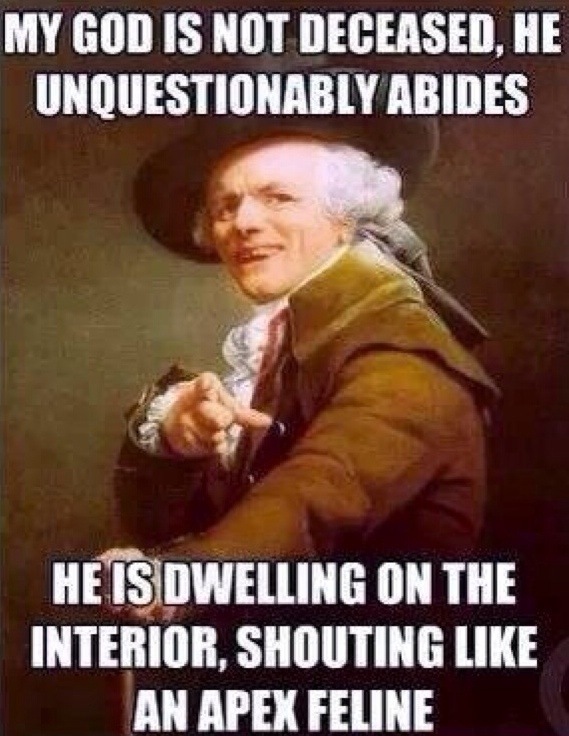 This entry was posted in Pictures and tagged funny, God, lion, living, twist. This entry was posted in Quotes and tagged Bible, Christian, H.L. Moody, quote, sin. I have met many people in my life who I knew that if they were to die right then, they’d go to Hell. Every time I’ve met someone like that, it’s made me very sad and I’ve wanted to do something about it. Unfortunately, many times I didn’t do anything. But there have been times when I’ve tried very hard to save someone’s soul. Back when I was in 7th grade I had a friend who claimed to be a Wiccan. At that time I didn’t really know what she believed, and I still don’t. People used to tease her and call her a witch. However, as far as I know, she didn’t do any witchcraft or perform any rituals. She was just into the supernatural. Anyway, I spent a lot of time during that year, before she moved over the summer, witnessing to her. I wish I could tell you that she’s a Christian now, but I can’t. I remember one time in particular I was really fed up with her constant rejection of my attempts to talk with her about Christianity. It was after school and I had a flute lesson to get to. I saw her by the bathroom and we were talking. I don’t remember exactly what we said but I do remember what I said as I was walking off. And I know you aren’t supposed to be this blunt when you’re witnessing to people, but I was on my last straw and I didn’t know what else to say. So, angry, I shouted to her, “You’re going to Hell!” And her reply was even more surprising than my sudden outburst. She shouted back, “I don’t care!” … I had never gotten that kind of response before and I haven’t since. Usually people know that’s true but try not to think about it. But she knew it was true and didn’t care. I don’t understand how someone couldn’t care that they were going to be tortured for eternity in a pit of fire. I’ll never know if she truly didn’t care or if she was just saying that, but her words will stay with me forever. The Bible describes Hell in a few different places. In Matthew 13:49-50 Jesus says, “This is how it will be at the end of the age. The angels will come and separate the wicked from the righteous and throw them into the blazing furnace, where there will be weeping and gnashing of teeth”. Revelation 20:14-15 says ‘Then death and Hades were thrown into the lake of fire. The lake of fire is the second death. Anyone whose name was not found written in the book of life was thrown into the lake of fire’. Based off of those descriptions, Hell does not sound like a place that I wouldn’t mind going to. I encourage you to witness to the lost souls around you and show them that Hell is not a place they want to go. But don’t do what I did and try to scare them into being a Christian. Yes, make them aware of how horrible Hell is, but also make them aware of how amazing Heaven is and how graceful and loving our Savior is. This entry was posted in Devotions and tagged death, eternity, Fire, Hell, Jesus, lost, Satan, saved, story, verses.